We here at Football Babble prepared this list of college football fun facts so you will have some interesting factoids and tidbits to throw out at your next football watching party. We’ve tried to include something for most of the major college programs, and a whole lot of information about the lesser known NCAA football schools across the American football landscape. So the next time the subject of obscure college football records or team mascots comes up, you’ll be armed with some facts to throw back in the face of your know-it-all friends. 1. The first Orange Bowl was played in 1935 between the University of Miami and Manhattan College. To save money, the Manhattan College team took a three-day boat ride to Miami. 2. Irvine �Cotton� Warburton is the only member of the College Football Hall of Fame to receive an Academy Award. He won for his film editing work on 1964�s Mary Poppins. 3. Chief Osceola, the Florida State mascot who rides out and plants a flaming spear at midfield before each home game, has been approved by Florida�s Seminole Indian Tribe. 4. In the 1940s, college bowl games included the Raisin Bowl, Salad Bowl and Oil Bowl. 5. Michigan holds the record for the most bowl appearances (31). 6. During the 1990s, Prairie View College put together an 80-game losing streak. One season, they were outscored each game by an average margin of 56 to 4. 7. The Oklahoma Sooners hold the record for the longest winning streak in college football. The streak lasted 47 games, from 1954 until 1957. 8. The most laterals in a game (8) came during the Michigan Wolverines� final play of the Alamo Bowl in 2005. 9. Before every home game, flowers are placed at the graves of every former Uga (the English Bulldog mascot of Georgia). 10. The forward pass first appeared in college football in 1906. It was introduced in an attempt to increase scoring and reduce injuries. 11. Since they began playing college football in 1879, the University of Michigan Wolverines have won more games than any other team. 12. Yale has won more National Championship (18) than any other college football team. Their last title came in 1927. 13. The first college football game took place in 1869 between Princeton and Rutgers University. Each team had 25 players on the field, and no forward passing was allowed. Rutgers won by a score of 6 to 4. 14. The LSU mascot, Mike the Tiger, is kept in a pen in the back of the stadium. Before home games, he�s placed in a cage and moved near the visiting team�s locker room, so that opposing players must pass by him on the way to the field. 15. College football�s largest margin of victory came in 1916, when Georgia Tech defeated Cumberland by a score of 222 to 0. The game was cut short by 15 minutes. 16. The orange and white team colors of the Tennessee Volunteers were chosen in 1891 to represent the daisies which grow on the campus. 17. President John F. Kennedy compared the difficulties of reaching space in a rocket to the Rice Owls� chances of defeating the Texas Longhorns. 18. Field goals in college football were originally worth five points. This was decreased to four points in 1904 and three points in 1909. 19. The Wisconsin Badgers once had a real-life badger as their mascot. During games, it would be led around the sidelines on a leash. The animal proved too mean, and it was replaced with a costumed mascot in 1940. 20. During Nebraska Cornhuskers� home games, their stadium becomes the state�s third largest city. 21. The Red River Shootout between Oklahoma and Texas is the oldest rivalry played at a neutral site. The game is held in Dallas, which is halfway between both campuses. 22. Oklahoma was still a U.S. Territory when the Red River Shootout started in 1900. Oklahoma didn�t receive statehood until 1907. 23. In 1915, a group of Aggie supporters placed a brand on the longhorn steer of a Texas student. The brand, 13-0, represented A&M�s 1915 win over the Longhorns. In an effort to cover up the brand, the owner turned the one and three into the letter �B,� and then came up with �EVO.� This became the school�s mascot, although the original Bevo was later eaten. 24. The number of players fielded by each college team was reduced to 20 in 1873. It was reduced to 15 in 1876 and then to the current 11 in 1880. 25. There are four college football stadiums which hold more than 100,000 fans: Penn State�s Beaver Stadium, The University of Tennessee�s Neyland Stadium, The University of Michigan�s Michigan Stadium and Ohio State�s Ohio Stadium. 26. College football fields were originally 120 yards long and 100 yards wide. 27. The most people to gather for a game of football in Texas is 89,442. This occurred during a 2006 game between the Texas Longhorns and the Ohio State Buckeyes. Texas lost by a score of 24-7. 28. In 1953, Tennessee brought a number of dogs onto the field in an effort to find a mascot. A blue tick bloodhound named Blue Smokey let out a loud howl, and he was selected by the fans. Since that time, a blue tick bloodhound has always been used as the team�s mascot. In 1991, Smokey VI ended up on the team�s injury report with heat exhaustion. 29. In the beginning, the balls used for college football were round. 30. Touchdowns in college football were originally counted as three points. 31. The most popular names for four-year college mascots are Eagles and Tigers. 32. College football developed out of the game of rugby. 33. Following a number of deaths, President Theodore Roosevelt threatened to ban college football in 1906. The NCAA was formed to govern the sport, and mass momentum plays like the �Flying Wedge� were banned. 34. Notre Dame has the most players in the College Football Hall of Fame. 35. The first college football game was broadcast on television in 1939. The teams involved were Fordham University and Waynesburg College. 36. In the 1985 Orange Bowl, Oklahoma received a 15-yard penalty due to the Sooner Schooner (a covered wagon pulled by two Shetland ponies) racing onto the field to celebrate an OU field goal which had been waived off. After the penalty was assessed, OU missed the next attempt and went on to lose the game. 37. Quarterbacks from Alabama won the first three Super Bowls. They also have more Super Bowl wins than quarterbacks from any other school (Kenny Stabler 1, Joe Namath 1 and Bart Starr 2). 38. Reveille, the collie mascot for Texas A&M, is commissioned as a five-star general. 39. If a college team played in a bowl game in 1954, they were banned from any bowl games in 1955. This was designed to give every team a chance to play. 40. The mascot for the University of California Santa Cruz is the Banana Slug. 41. Throughout the 1960s, the University of Florida kept a real-life alligator named Albert on the sidelines. 42. During a period in the 1950s, the national champion was selected prior to the bowl games being played. In 1950, Oklahoma was named the national champion, despite the fact that they would later lose their bowl game. 43. In the 1899 Army-Navy Game, the Navy arrived with a goat as their mascot. The Army did not have a mascot at the time, so they decided on a mule. A passing ice-truck was stopped, and the white mule pulling it became the first mascot for Army. These mule mascots would come to be referred to as General Scott. 44. The Miami Hurricanes hold a record of 82 consecutive weeks where a former Hurricane scored a touchdown in an NFL game. 45. In 1822, the president of Yale College prohibited students from playing football. Violators would be fined no more than 50 cents and reported to the dean. 46. In 1905, 18 men were killed in college football games, and 159 were permanently injured. 47. College teams were penalized 15 yards for an incomplete forward pass in 1910. 48. The white stripes on a college football are designed to help the receiver see the ball better. 49. The biggest crowd for a college football game was 114,000 for the 1926 Army-Navy Game. The game ended in a tie when it became too dark to play. 50. The first bowl game, later known as The Rose Bowl, was played on January 1st, 1902 between the Michigan Wolverines and Stanford Cardinals. Michigan won 49-0. 51. Michigan cornerback Charles Woodson was the first Heisman Trophy winner not to play an offensive position. The award, handed out since 1935, did not go to a defensive player until Woodson won it in 1997. 52. The first college football National Champion was Princeton. They received the honor in 1869 and only played two games. 53. 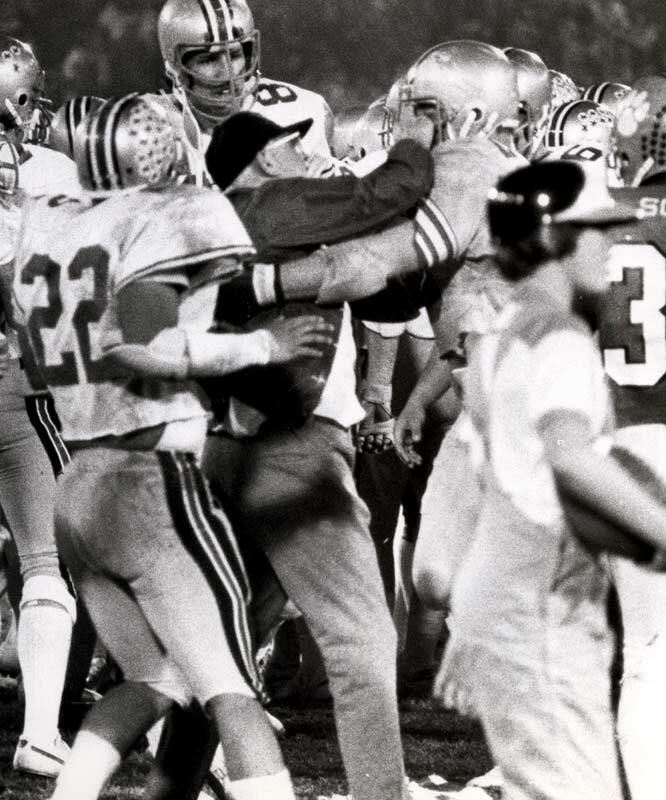 In 1956, Ohio State coach Woody Hayes attacked a television cameraman following a loss. In 1959, he tried to punch a sportswriter, but he missed and hit someone else. In 1978, he was fired from Ohio State after punching an opposing player who was returning an interception along the sidelines. 54. The most valuable item in the College Football Hall of Fame is said to be the jersey worn by Red Grange. Its worth is estimated in the high five figures. 55. According to some legends, tailgating dates all the way back to the first football game, which was played between Rutgers and Princeton in 1869. It is said that fans grilled sausages after the game at the "tail-end" of the horse. 56. The first American college team to play on foreign soil were the LSU Tigers. In 1907, they took on Havana University in the inaugural Bacardi Bowl and defeated them 56-0. 57. The father of former Oklahoma Sooners’ coach Barry Switzer was a bootlegger. 58. The annual Florida-Georgia game is considered by many to be the world’s largest tailgate party. The game takes place on Saturday, but many fans begin arriving on Wednesday and don’t leave until Sunday. 59. While playing for the University of Hawaii from 2000 to 2004, quarterback Timmy Chang set an NCAA passing record with 17,072 yards. 60. The Butkus Award, given to the nation’s best college linebacker, was created in 1985. 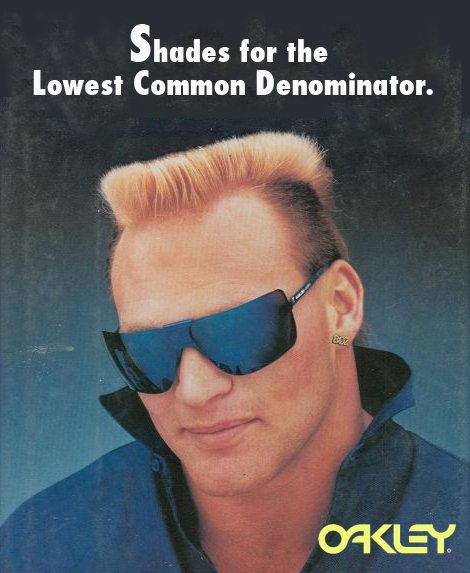 It’s recipient for 1985 and 1986 was Oklahoma’s Brian Bosworth. 61. University of Chicago running back Jay Berwanger was the first Heisman winner to be selected with the top pick in the NFL Draft (1936). 62. During a 1979 Cotton Bowl game, Notre Dame quarterback Joe Montana began suffering from hypothermia. As a remedy, he was fed chicken soup. The soup bowl and spoon are now in the College Football Hall of Fame. 63. According to studies, it is estimated that 30% of tailgaters never make it inside the stadium. 64. Miami Hurricane quarterback Vinny Testaverde became the first (and only) player to win the Heisman, the Maxwell, the O’Brien and be selected first overall in the NFL Draft (1987). 65. In 1895, the North Carolina Tar Heels became the first college team to utilize the forward pass. 67. The first organized cheerleading yell was performed on the Princeton campus in the 1880s. 68. In the early years of college football, Tulsa developed the �tower play.� Two receivers would run down the field, stop, and then one receiver would lift the other onto his shoulders to make the catch. The play was banned in 1917. 69. During important plays of the game, some members of Texas A&M�s cadet corps will squeeze their testicles. 70. Beginning in 1961, the Georgia Tech team was led onto the field by a 1930 Model A Ford Sport Coupe. It has since developed into a tradition known as the Ramblin� Wreck. 71. The mascot for the University of Pennsylvania is Ben Franklin. Looking like the real Ben Franklin, he sports a school uniform during home games. 72. Bill the Goat is the mascot for the United States Naval Academy. In 1968, the 16th Bill died of accidental poisoning after weed killer was sprayed too close to his pen. In 1971, the same thing killed Bill XVII. 73. With its blue playing surface, Bronco Stadium (home of the Boise State Broncos) is the only non-green playing surface in the NCAA. 74. After coach Warren B. Woodson was fired in 1967, the New Mexico State Aggies have only had four winning seasons in the last 40 years. Many fans have come to refer to this extended slump as �Woodson�s Curse." 75. Bobby Grier, an African-American fullback and linebacker for the Pittsburgh Panthers, became the first player to break the color barrier of the Sugar Bowl in 1956. 76. Ted, the first real-life bear mascot for Baylor, was donated in 1917 by a local businessmen who won him in a poker game. 77. The West Virginia Mountaineers are the winningest Division I-A team (663-442-45) to have never won a national title. 78. Starting in 1884, The Rivalry is an annual showdown between Lehigh University and Lafayette College. The team have played every year since 1897, making it the oldest uninterrupted rivalry in college football history. 79. Notre Dame has produced more All-Americans than any other Division I school. 80. Before changing their nickname to the Spartans in 1925, San Jose State was previously known as the Daniels, Teachers, Pedagogues, Normals and Normalites. 81. In 1961, Ernie Davis of Syracuse became the first African-American to win the Heisman Trophy. 82. The unofficial mascot of Dartmouth College is Keggy the Keg, a tongue-in-cheek figure which parodies the stereotype of beer-swilling frat boys. With the school having no official mascot, Keggy has become widely accepted among the student body. 83. When the University of Texas achieves a win over rival Texas A&M, the UT Tower is bathed in orange lights. 85. In a 1925 game between Texas Tech and McMurry University, Tech�s kicker appeared to make a last-second field goal to give his team the win. The referee, however, ruled that time had expired, and the game ended in a 0-0 tie. It was later learned that the referee made the call to get even with Tech, as they had passed him over for the school�s first head coaching job. 86. Ed Marinaro of Cornell holds the record for most rushing yards per game. From 1969 – 1971, Marinaro averaged 174.6 yards per game. He later became an actor, starring in such shows as Hill Street Blues and Laverne & Shirley. 87. At the Division I level, teams must win at least 6 games to be eligible for a bowl game. 88. Notre Dame has only had 12 losing seasons out of 118. 89. The longest field goal in college football was a 69-yarder by Ove Johansson of Abilene Christian in 1976. 90. Joe Miner, the mascot for Missouri S&T, carries a pickaxe, pistol and slide rule. 91. Goal posts were moved to the rear of the end zone in 1927. Before that, numerous injuries occurred when players would accidentally run into them. 92. Auburn is the only school where John Heisman coached that has actually produced a Heisman Trophy-winning player. 93. Sylvester Croom was hired as the coach of Mississippi State in 2003. This made him the first African-American coach in SEC history. 94. South Carolina University�s Board of Trustees voted in 1906 to ban participation in football. This followed complaints from the faculty about inappropriate chants during the games. After public outcry, the ban was lifted in 1907. 95. Paul �Bear� Bryant was once quoted as saying, �I�d probably croak in a week if I ever quit coaching.� He died 27 days after he coached his last game. 96. The University of Mississippi Rebels were once known as the Mississippi Flood. The name was changed in 1935. 97. The first football squad for the University of Georgia was formed in 1892. The university�s chemistry professor served at their head coach. 98. Whenever a dog serving as Reveille for Texas A&M passes away, she is buried in a special cemetery at the north end of the school�s stadium. 99. Although their team name is �The Cardinals,� Stanford�s unofficial mascot is the Stanford Tree. The mascot�s costume is created anew each year by the incumbent Tree. 100. The record for most consecutive games without being shutout belongs to BYU (361 games over 28 years). 101. The NCAA banned the kicking tee in 1988 and required kicks from the ground.